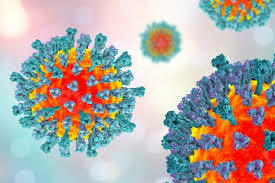 As of April 11 there are over 450 reported cases of measles in the United States that is spread out over several states. The largest outbreak is in New York City, specifically, in the Brooklyn Williamsburg area and Rockland County just north of the city, as well, a sizeable number of cases in counties in Washington state, Michigan, New Jersey, and California. There are also reports of individual cases in 14 other states. 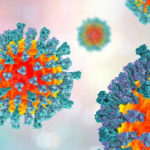 These outbreaks are linked to travelers who brought measles back from other countries such as Israel, Ukraine, and the Philippines, where large measles outbreaks are occurring. Also fueling this latest out break is the anti-vaccination movement which is based on information that is false and been discredited. The English doctor who started it has been prosecuted and lost his license to practice medicine. Measles, which is a highly contagious viral infection, was nearly eliminated in the US after the introduction of the vaccine in 1963. In 2000, after the absence of continuous disease transmission for greater than 12 months, the CDC declared the disease eliminated in the US. It has once again been reintroduced because more parents are refusing to vaccinate their children. There are legitimate medical reasons not to vaccinate, due to severe allergies or a weakened immune system. There are about 500,000 people in the US who can’t be vaccinated. They rely on everyone else’s vaccinations to protect them, in a concept known as community (or herd) immunity. Herd immunity also keeps infants safe since they cannot be vaccinated until they are a year old. Measles is dangerous, especially for young children and it can kill. From 2001-2013, 28% of children younger than 5 years old who had measles had to be treated in the hospital. For some children, measles can lead to: Pneumonia. The risk of death from measles is higher for adults and infants than for children. People in their 30s to early 60s could be at a greater risk of contracting the virus because they may have only gotten one dose of the MMR vaccine. In 1989, the Centers for Disease Control and Prevention changed its recommendations by asking people to get two shots rather than just one. Those who’ve been vaccinated against measles but haven’t received the second dose may not have enough measles antibodies to protect them. So what do you do? Simple, get vaccinated, get your children vaccinated. The best protection against measles is measles-mumps-rubella (MMR) vaccine. MMR vaccine provides long-lasting protection against all strains of measles. The measles vaccine has a small risk of minor side effects, such as fever or rash, and has no link to autism. Your child needs two doses of MMR vaccine for best protection.